Wombat drives the Ute through the Aussie bush, collecting Aussie animals along the way. The Ute looks big but ispacked full of all the animals by the time it arrives at the Aussie Bush Bash! But first, it must traverse the varied terrain from coastal cliffs, to mountain peaks and valleys, outback landscapes and leafy rainforests. 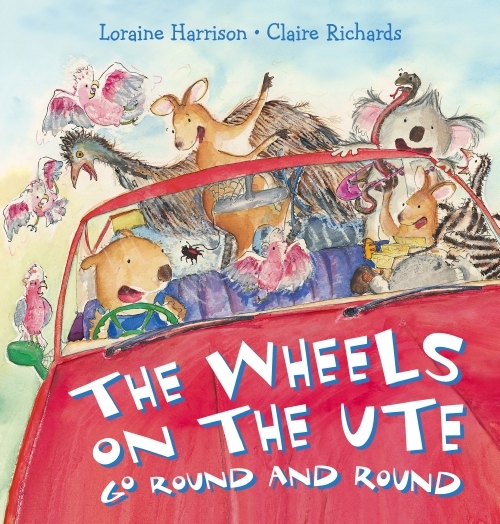 A wonderful exploration of Australian animals and landscape, combined with a familiar theme. Now in board book format — perfect for little hands!